Traditional Celtic music with an American drive. 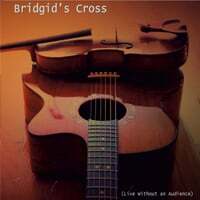 Bridgid's Cross started as a family hobby; playing for Farmer's markets in Oregon. We decided to make a recording of our favorite traditional Celtic songs with a few original tunes thrown in too. This album was recorded in a live fashion, in our home with a small Tascam recorder and minimal post-production. We hope you enjoy our American take on some classic Celtic tunes.